In 1944, one of America’s most important and influential bills was placed on President Roosevelt’s desk where it was signed into law on June 22nd. The G.I Bill, or Servicemen’s Readjustment Act, allowed nine million returning veterans to attend college or trade school. An enormous opportunity to soldiers adjusting back into American civilian life, this bill covered expenses totaling over $4 billion. While helping servicemen get the education they deserve, this bill would forever change the face of education, its costs, and the forecast for future students. Today, there is no such bill for millennials and Get Zers - but the G.I. Bill certainly helped set a precedent for college expectations. Young people are expected to go to college and pay for it themselves without any government “handouts,” but what results is a collective student loan debt reaching $1.5 trillion. Every generation looks at their time spent in college a little differently, making it challenging to really define what it means on a societal level. In the United States, university has gone from luxury, to privilege, to necessity, and back to luxury, though luxury only in price. Sure, it’s a good thing to earn a college degree - but exactly to what degree? Adjusted for inflation, the average tuition for law school in years 1948-49 came out to a little over $3,330. In the school year 2018-2019, average law school tuition came out to over $26,800. To be fair, wages in every industry and the careers within have risen as well. Even skilled laborers without degrees are making three times more than what they used to, but the same can’t be said for advanced careers. By comparison, the rate of salary growth among doctors and lawyers does not mirror the rate of growth of industries like construction. It’s this very point that leads young college students to ask themselves if these traditionally respected careers are even worth it anymore. Millennials did the college thing, and they have this debilitating debt to show for it. Following along in their parents footsteps and considering college a social and professional necessity, students felt they had no other choice. When came post-graduation, they were met with low job availability and a “useless” degree. Gen Z, however, won’t be making these same mistakes. Almost half of Gen Zers consider financial independence the first marker of adulthood. Coincidentally over the past seven decades, undergraduate tuition has grown more than four times putting two in three students who have earned a bachelor’s degree into debt. 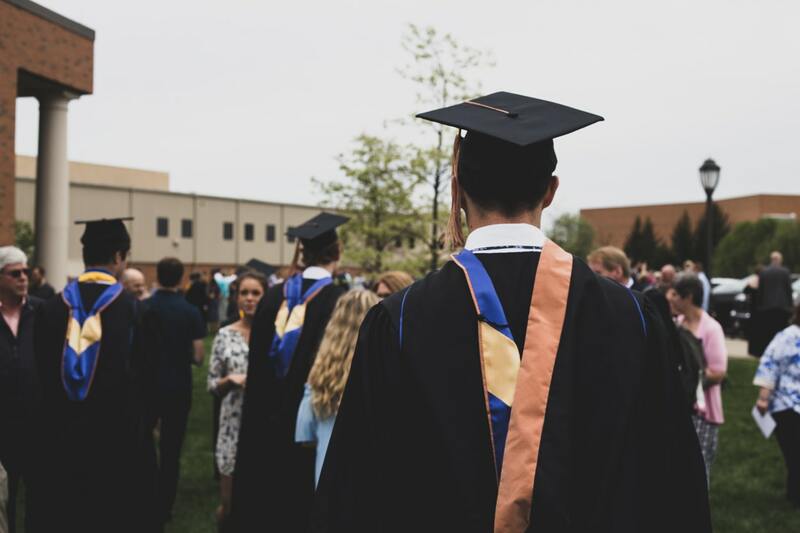 It’s clear to see what a tough decision Gen Zers are left to make; when education, career, and finances are so closely intertwined, it’s hard to imagine just one without the other two. Yet all three together make a perfect storm of debt without the guarantee of success. For more detail on success without college, this infographic guides us through the state of college in America, its social conditions and expectations, how they’ve changed in the last century or so, and where its value is falling short for next generation of students.